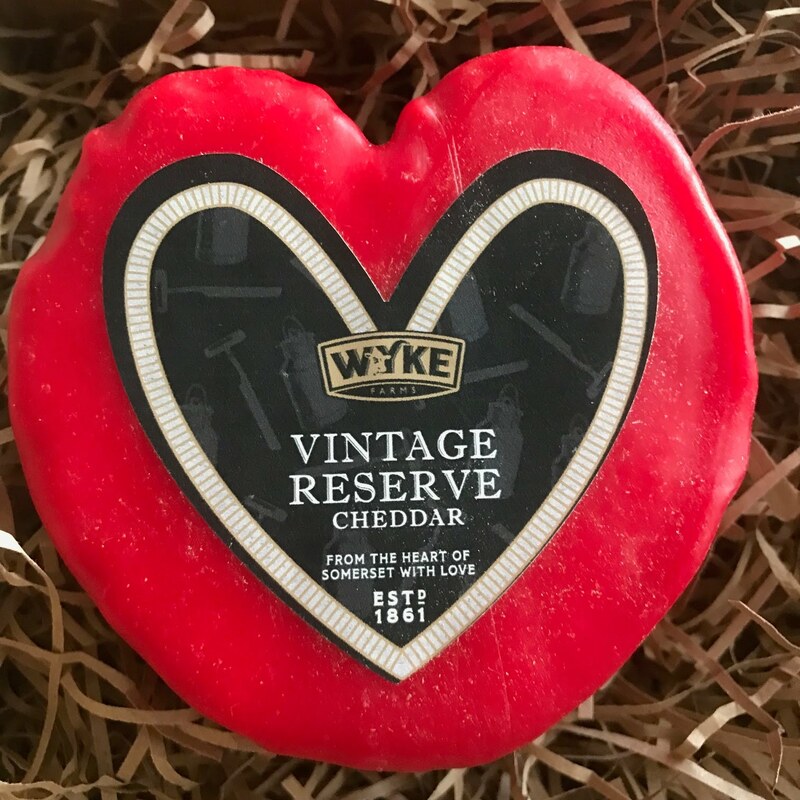 I love cheese and with Valentines Day just around the corner, what better way to celebrate then with this beautiful heart shaped red wax truckle filled with the finest vintage Cheddar. 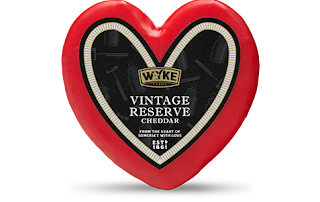 This delicious vintage cheddar is crafted in the heart of Somerset with love. 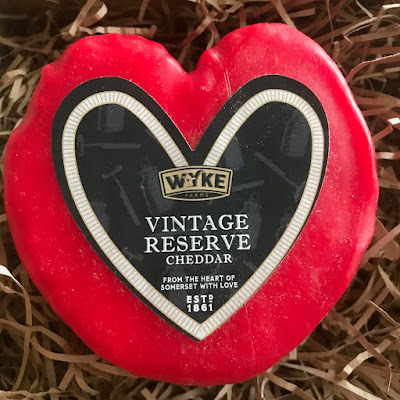 The Cheddar has been matured for over 15 months to give it a smooth, yet silky texture, with a very slight crunch, Perfect to eat on its own or accompanied with your favourite dish. Here are a couple of ideas so why not try these classic ingredients to help mark the day in style? Strawberries and chocolate: Roughly break up the chocolate and place into a microwavable bowl. Place the bowl into a microwave and gradually warm, making sure to check every 10 seconds, giving a stir to check. Once you are happy that the chocolate is melted through, get your strawberries and gently dip. Place each dipped strawberry onto a tray/plate. Refrigerate until the chocolate is set. Sorted! Figs and Honey: Preheat your oven to 180 degrees. Get 8 ripe figs, your favourite honey and some butter. Halve your figs and place onto a parchment lined baking tray. Put a small knob of butter onto each half then drizzle with a teaspoon of honey. Place in the preheated oven for 15 minutes or until soft and gooey. Olives: Olives make a great partner for cheese and lots of them. 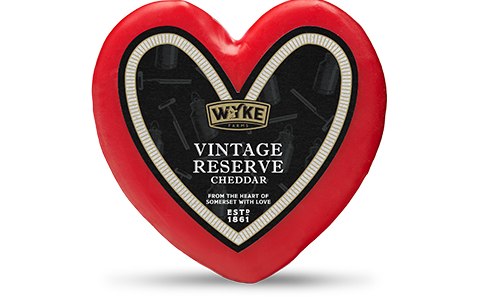 Just dot them artfully around the board, simple and the perfect complement to our cheese! Elderflower Prosecco: Pour 10ml of elderflower cordial into a champagne flute fill to the top with chilled Prosecco. Dress to impress by placing a fresh raspberry on.